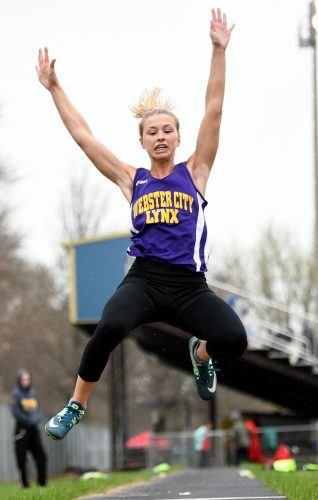 WEBSTER CITY — To the victor go the spoils. 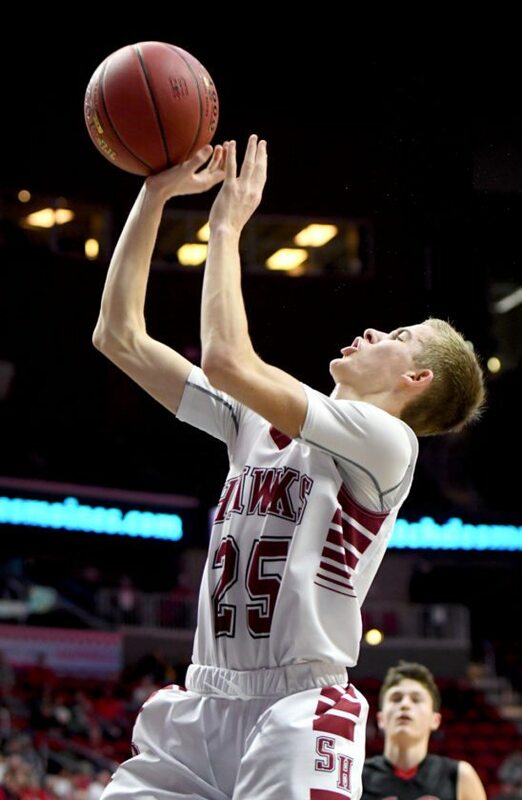 South Hamilton dominated the Heart of Iowa Conference boys’ basketball landscape this winter, so it was only fitting that the Hawks piled up the postseason accolades from the league coaches. Six players were named to the all-conference teams. Senior point guard Marco Balderas was a repeat first-team selection and he was joined on the top unit by junior shooting guard Conner Hill. Junior forwards Logan Peters and Cole Berg landed on the second team, while senior forward Logan Klemp and sophomore forward Cade Balvanz were honorable mention selections. South Hamilton went unbeaten during the regular season and claimed its second straight HOIC championship. Completing the first team were Andrew Van Ryswyk and Jackson Thomas of PCM; Trey Hinote and Wade Adcock of Greene County; Will Turner of Gilbert; Trent Stahl of Nevada; and Caleb Lomica of North Polk. 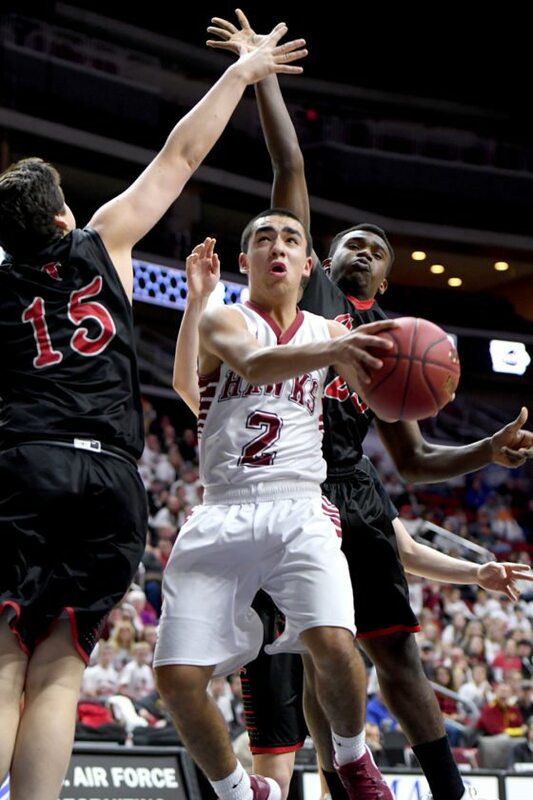 Balderas, who became just the seventh South Hamilton player to reach 1,000 career points earlier this week at the state basketball tournament, averaged 15 points per game while shooting 53 percent from the floor during his final prep campaign. He also averaged 5.1 assists, 4.0 rebounds and 2.1 steals an outing. Despite missing six games, his 97 assists ranked second in the league. Hill, who took over the point guard duties while Balderas was out, put up 13.1 points an outing and cashed in on 42 3-point baskets. He also hauled down 4.6 rebounds a night. Peters (12.0) and Berg (11.0) gave South Hamilton four players that averaged in double figures scoring, a balance that was simply too tough for league opponents to match. Peters also led the team on the boards, averaging 5.5 rebounds per game, and Berg matched Hill’s effort on the glass. Balvanz and Klemp averaged 5.8 and 5.7 points per game, respectively. Turner led the HOIC in scoring at 17.2 points per game, just ahead of Hinote (16.9). South Hamilton put together a 24-1 season, the most successful in school history, and reached the state tournament for the third time in five years. 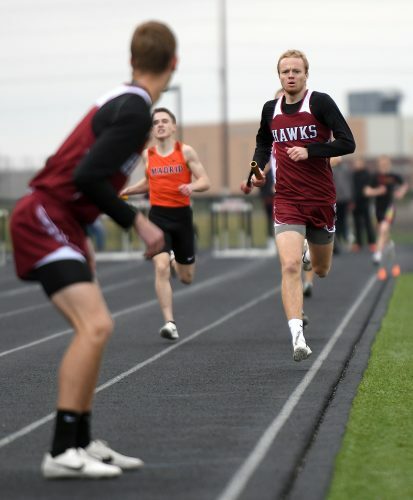 First Team — Conner Hill, jr, South Hamilton; Marco Balderas, sr, South Hamilton; Andrew Van Ryswyk, jr, PCM; Will Turner, jr, Gilbert; Trent Stahl, sr, Nevada; Trey Hinote, jr, Greene County; Wade Adcock, sr, Greene County; Caleb Lomica, jr, North Polk; Jackson Thomas, sr, PCM. 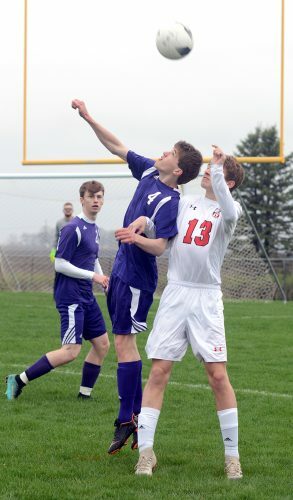 Second Team — Logan Peters, jr, South Hamilton; Cole Berg, jr, South Hamilton; Matt Barragy, jr, Gilbert; Luke Merfeld, sr, Nevada; Carter Greenfield, jr, Roland-Story; Reed Worth, jr, PCM; Zach Bobenhouse, jr, Saydel; Lance Hughes, jr, Greene County; Colten Parkins, jr, North Polk. 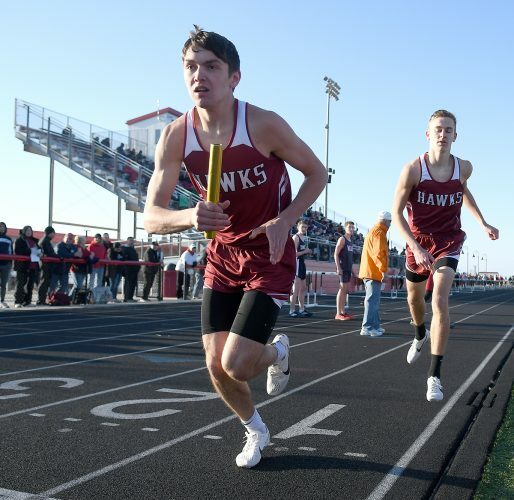 South Hamilton — Logan Klemp, sr; Cade Balvanz, soph. PCM — Elijah Sperfslage, sr; Noah Lanphier, sr.
Greene County — Joe Towers, sr; Ben Bravard, sr.
Gilbert — Garrison Holck, sr; Tommy Doyle, sr.
Nevada — Om’Unique Wilkerson, sr; Jack Higgins, sr.
North Polk — Braden Hoksbergen, jr; Cameron Markert, jr.
Roland-Story — Kade Faga, jr; Austin Hobbs, sr.
Saydel — Colton Myers, jr; Cash Lee, jr.